How do leaders go through the process learning how to lead? How do leaders go through the process learning how to lead? More to the point, when and where did you learn what it means to be a leader? A quick Google search of “learn how to be a leader” reveals nearly 300 million hits! And yet, when it comes to actually analyzing their own learning process, far too many leaders fail to take the time…and introspection…needed to understand their own process. Knowing and owning your leadership style can make the difference in just how ready you are for the roles you assume. So, have you ever truly considered how your formative experiences have influenced you and your leadership style? As someone who today holds the position or title of leader, I wonder what model of authority you grew up watching? David grew up watching his father bark orders at him, his siblings, and his mother. The tension would build as he sat anxiously at the table, wondering when his dad’s fuse would get lit. Meanwhile, he often heard his mother speak of his father with admiration and respect. As a young girl, Melanie watched her father go from an easygoing guy with a great sense of humor to having what she called a full-blown hissy fit in a matter of seconds. Yet everyone spoke about what a good-hearted man he was. Jean’s mother would whisper to her and her sister about the way to control a man (her father) was to let him think he was in charge. The reason I ask you about leadership models is because authority becomes leadership. Human beings either follow or polarize the model we were given. David polarized and as a result, he had a difficult time fully stepping into his power. He told me that he was always trying to soften his decisions because he didn’t want people to feel anxious around him. Meanwhile, David often complained about not feeling respected. Melanie had been given a very stern warning that she needed to take the anger management course offered by her company or she was going to either lose her management position or worse, be fired. Jean, a high-level CEO, shared with me that even though she felt like she had put some great female leaders around her, she struggled to believe that the men who worked with her were loyal and if they respected her. We are all familiar with the quote from George Santayana: “Those who cannot remember the past are condemned to repeat it.” The challenge is not in that we have no memory, but rather that we too often lack the courage to examine our history. It this lack of courage that makes us destined to repeat it. Without examining our history, we automatically become the purveyors of is, because we cannot change what we refuse to see. The truly emotionally intelligent leader has the courage to question the leadership model they received and make changes when needed. I often work with outstanding leaders who are committed to examining and reflecting on their leadership. They all tell me they learned to become a good leader by refusing the pull toward complacency. They tell me that their commitment and development to become an even better leader is an ongoing process. 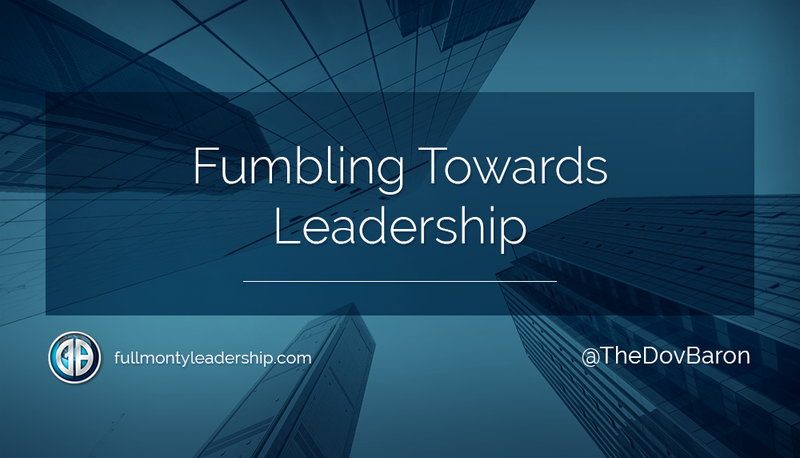 The paths we take to develop or enhance the leadership qualities vital to our continuing success require both self-examinations but also a critical examination of the leadership model we were exposed as we were growing up. As Socrates said at his trial, “The unexamined life is not worth living.” Do you have the courage to examine your leadership model? Until you do, you will never have the courage to examine your life.